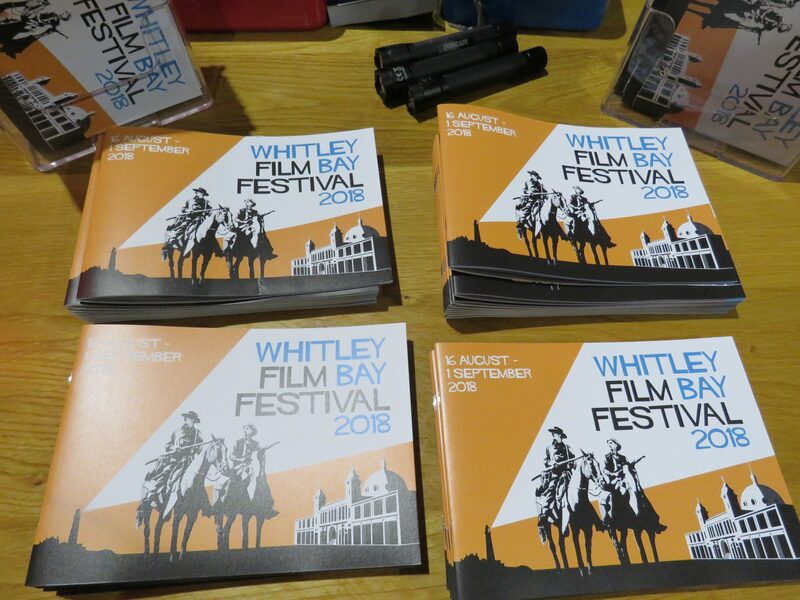 The Whitley Bay Film Festival is here again! 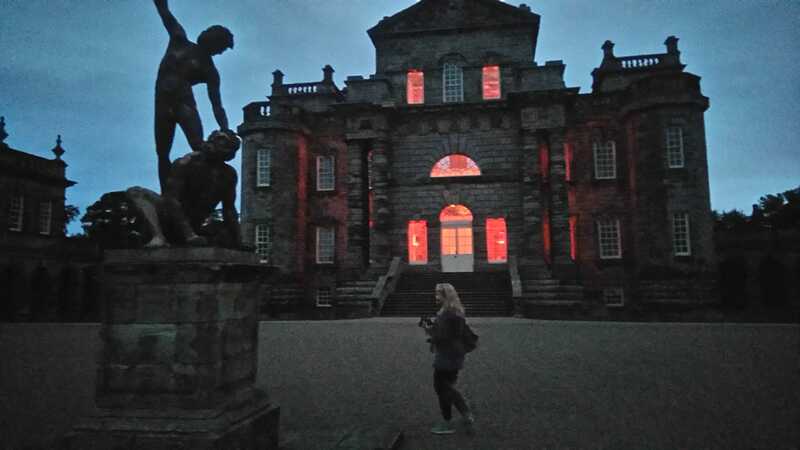 I set off with my torch and my blanket to the hottest ticket in the festival this week, which was a showing of the 1922 classic film version of Bram Stoker’s Dracula, Nosferatu, in the grand National Trust property of Seaton Delaval Hall, with its amazing views out over the beautiful Northumberland coast. With its grand hall partially ruined by fire and the weather coming in through the ruined roof (now covered over and being restored,) this is an incredibly atmospheric venue for this iconic film, which is almost 100 years old. 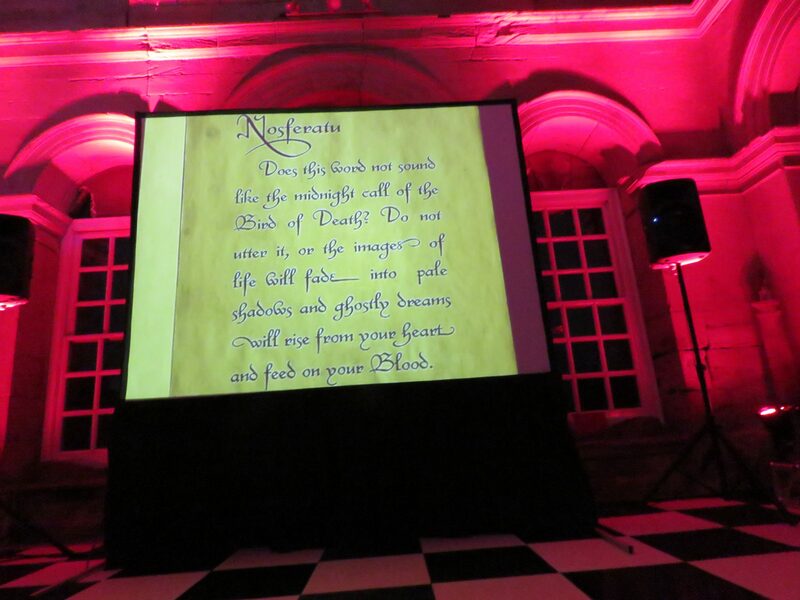 The hall fringed with statues looking down on us all, was lit with candles and red lighting inside creating an incredibly spooky ambiance. Word is that there is a real life ghost here, and there are certainly real bats in the rafters – would they put in a appearance this evening? 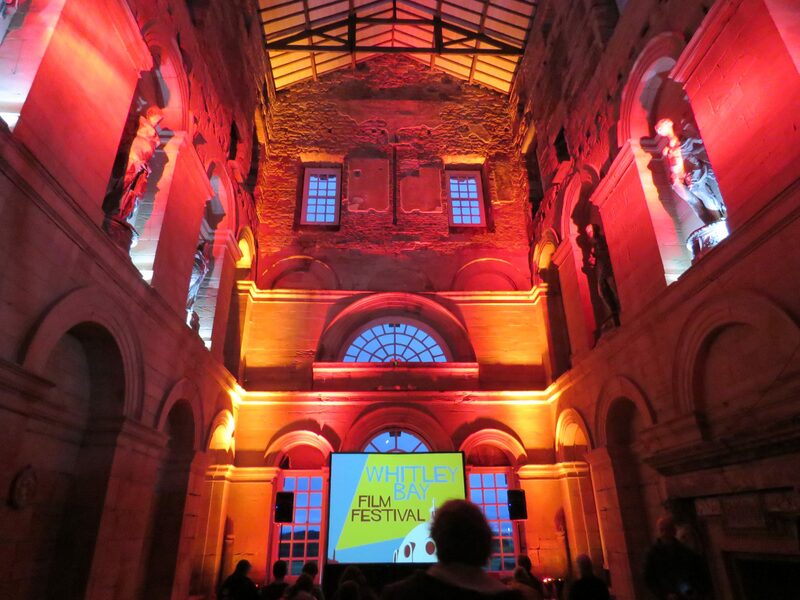 The quirkiest coolest film festival in the North was about to begin! 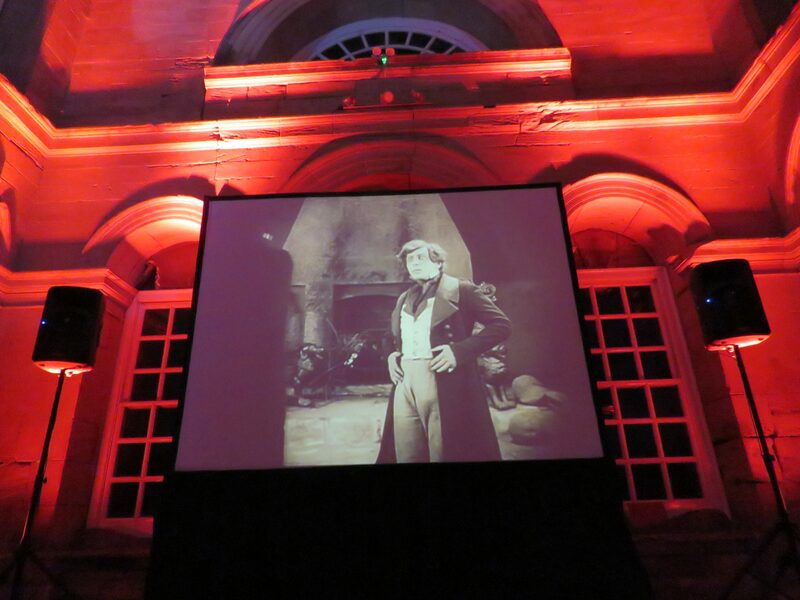 We sipped our Pimms and lemonade – so civilised – and then took our seats for a slice of German expressionistic horror! 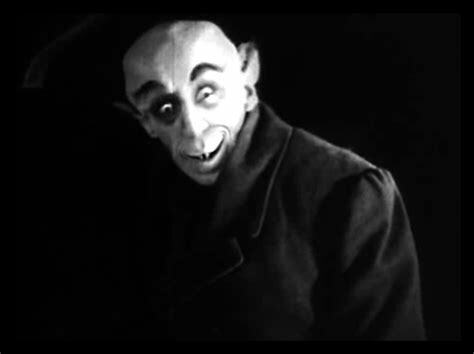 Nosferatu – a symphony of horror – was filmed in 1922 and directed by F.W. Murnau. It stars Max Schreck as the vampire Count Orlok and was an unauthorised adaptation of Bram Stoker’s Dracula (1897) Names were changed but Stoker’s heirs sued over copyright and the court ruled that all copies of the film be destroyed. However a few prints survived and the film came to be regarded as an influential cinematic masterpiece. The hero is Thomas Hutter who lives in the fictional German city of Wisborg, and he is sent by the estate agent Knock (never trust an estate agent) to visit a new client, Count Orlok. Hutter sets off on his journey to Transylvania leaving his vulnerable wife behind in the care of a good friend. He is warned off Orlok by the locals but naturally ignores their advice, and he is swept up by a spooky coach with covered horses into Count Orlok’s castle. Hutter starts to suspect that Orlok is Nosferatu, the “Bird of Death.” He cowers in his room as midnight approaches, but there is no way to bar the door. The door opens by itself and Orlok enters, his true nature finally revealed. Hutter hides under the bed covers and falls unconscious. Exploring the castle, Hutter finds the coffin in which Orlok rests during the day, and Hutter is horrified. 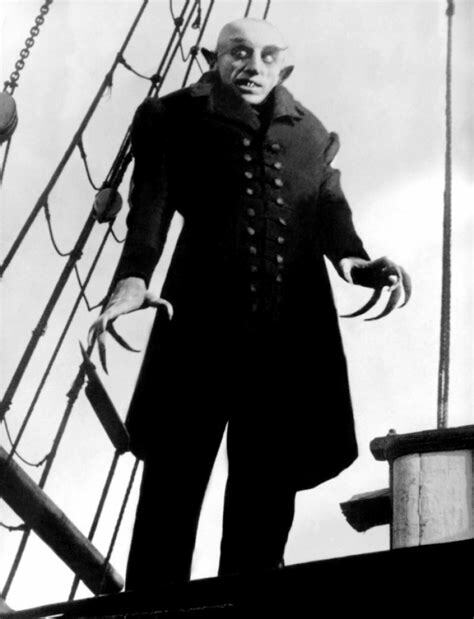 In search of a juicy neck to bite, Orlok sets off with his coffins on a ship. During the journey he manages to dispatch the entire crew. 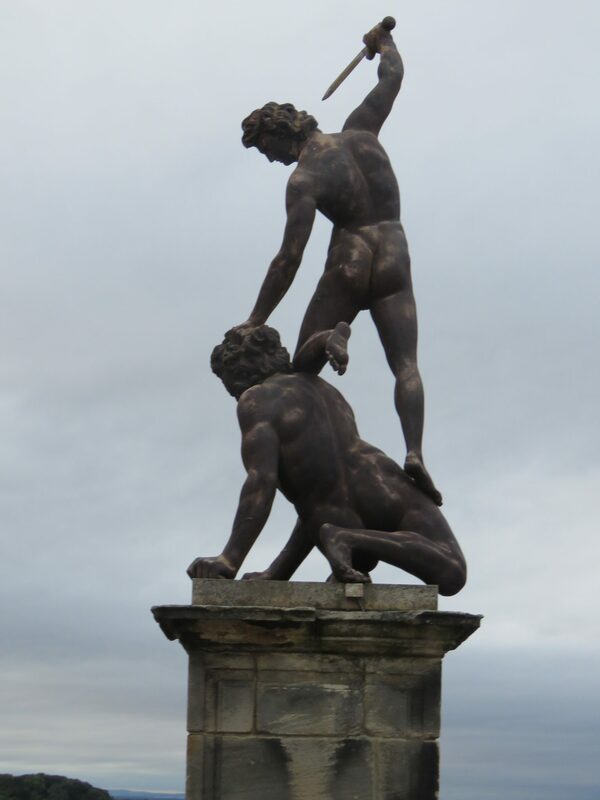 Arriving in Wisborg, because of the deaths on the ship, the towns people think that the plague has arrived. Hutter’s wife Ellen reads the book about vampires which claims that the way to defeat them is for a woman who is pure in heart to distract the vampire with her beauty all through the night. Orlok turns up and she submits to the supernatural blood sucker. Nosferatu becomes so engrossed drinking her blood that he forgets about the coming day and he is destroyed by the rays of the sun as dawn breaks. 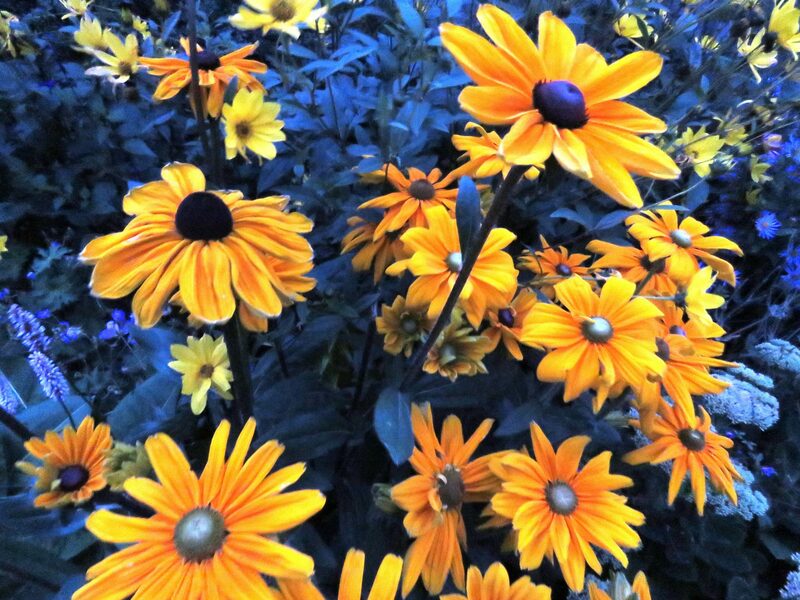 Ellen lives just long enough to be embraced by her grief-stricken husband. The last scene shows Count Orlok’s ruined castle in the Carpathian Mountains, symbolizing the end of his reign of terror. Schrek’s performance is extraordinary. Without recourse to CGI or anything much in the way of special effects, apart from scary make up, he is a frightening figure indeed. In fact, the acting is curiously modern at times and without sound, conveys the story with a convincing clarity. We had an extra treat in having an amazing live electronic soundtrack added to the entire film by The Mediators who are Steve Brown, Andy Eardley & Oran Milstein. Their unique take on improvisation is more akin to jazz than electronica, and reminded me a little bit of Kraftwerk from time to time. They interpreted the film beautifully with squeaking electronics when the rats came running out of the coffins, and even a few distorted bars of the Onedin line echoing through the hall as the ghostly ship carrying the vampire drifted into the frame. 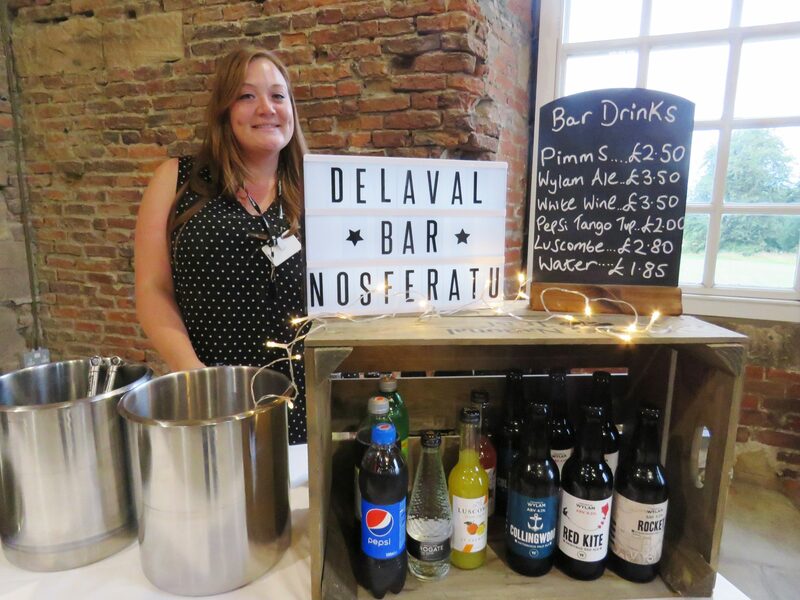 As the narrator spoke about the strangeness of nature, the real Delaval Hall bats put in an actual appearance, swooping past the screen with incredible grace. It was the icing on the horrible cake. Nosferatu is a weirdly wonderful film, dreamlike and memorable. I had not seen this film before and it had even more impact for me, by seeing it in this incredible setting. The lights of the hall lit up the windows like a face from the front, and the bats in the belfry only added to the eerie atmosphere. We did have some trouble finding our way out back to the car park in the pitch dark, despite having a couple of torches, but eventually after quite a lot of mincing backwards and forwards, we found our way out of the grounds. It was easy to imagine the ghostly figure of Nosferatu floating above us, and it did just give us a little bit of the shivers. A great night, and a unique experience, I can’t wait to see what’s next at the fabulous Whitley Bay Film Festival! 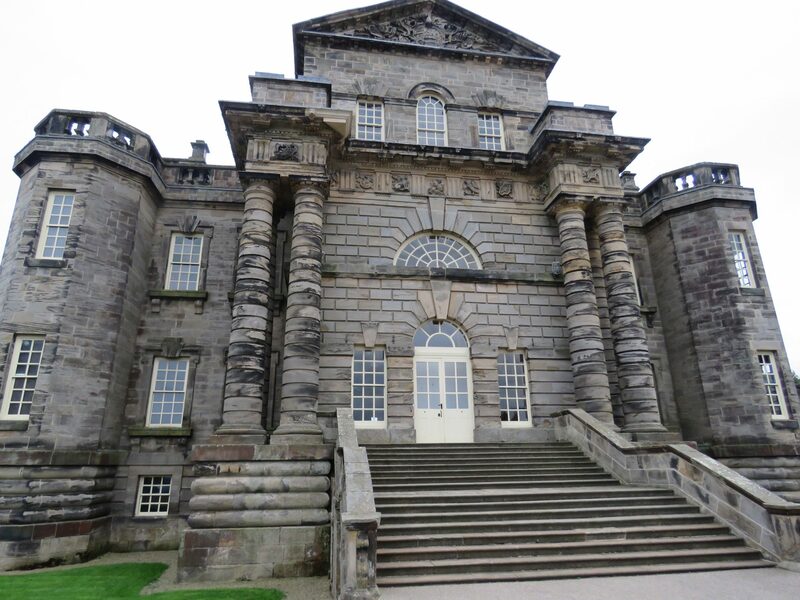 Check out my blog about Seaton Delaval Hall here to find more about the colourful history of this imposing stately home! Previous Post:Cycling Shakespeare with the Handlebards! Next Post:Whitley Bay Film Festival presents Like Water for Chocolate ‘smell ‘o’vision showing!